Welcome to MVYB′s home on the web! We are excited to report that we are gearing up for our 2018-19. We will be holding our annual Coaches Clinic on 11-4-18. Our Board of Directors will meet at the end of September to kick off our new 2018-2019 season. Our Town Coordinators meeting will be at the end of September as well. The MVBL BOD may also meet in early January to review our start up and first half of the season, and to finalize the second half of the season and our annual playoffs culminating in Championship weekend. We will continue to update our website with current information so please check back often. To all of our 8th grade coaches please remember the mandatory nomination of one of your players for our annual 8th grade Sportsmanship award. This is a wonderful opportunity for one player in each 8th grade division to be honored for their career in the MVBL. Our 8th grade coordinator, Brian Gargan, will be collecting nominations and our Sportsmanship committee will select the winners in February. The winners will be honored at Championship Sunday. We ask that our member towns support the tournaments that are being hosted by the towns in our league. Many of these tournaments aid the hosting towns to be able to manage their programs and we would like you to look at these tournaments first. Most importantly, it is mandatory that all of our players, parents, fans and coaches adhere to our league Sportsmanship statement along with the individual town policies and code of conduct. Mandatory Grade Scheduling Meetings to Follow! Confirm with Town Coordinators (TC) number of teams, team names if multiple teams submitted, recommended division, coaches data (Name, email, cell). Submit list of teams by name and division to Webmaster so the website can have the proper divisions created. Once website correct, enter coach’s data onto the website (directions are on MVbasketball.com). Send email to all coaches (always cc the TC) introducing yourself and provide some basic information to them: Refer them to the website for divisions, general rules and special rules if applicable (press rules, defense rules, etc. that apply to your grade level). Any questions must be directed to you instead of the league for your grade. Coaches need to enter scores on the website within 24 hours of game played- either team can enter- winner/loser/home/away. 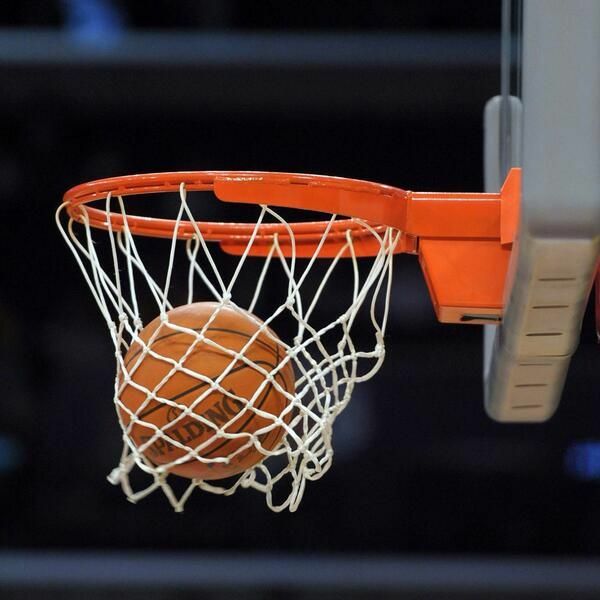 All technical fouls on either team must be reported by the coaches (goal is to have both coaches be reporting). If a league game must be postponed/modified etc. only the grade coordinator can change the game- coaches or TC must notify the grade coordinator to make the changes. Inform them of the scheduling meeting and all towns must be present with all their blank home games and availability to play away games for the scheduling meeting. 8th Grade Coordinator has additional duties, they must collect all the players shirt sizes as the league provides a T shirt for every player- this should be collected when the teams submit their team rosters. Also, all teams that want to compete in the playoffs must submit a sportsmanship for a player on their team-website has the award information and a guideline on what should be submitted on the website. At the end of the scheduling meeting, all teams must provide all their home games to the coordinator. The coordinator will then enter into the website all the home games. Once done each team must check their schedules on the website so the coordinator can make any changes. One week before teams play the first game ensure that all teams have submitted a roster. Weekly check the website to ensure that all game scores are recorded. Remind teams to make up all games, as all games must be completed by last day of the season- rules allows teams to have games won and lost if not made up based on the team’s cooperation in rescheduling. During the season, keep track of any Technical fouls and follow rules- I would notify President as any T’s occur. At end of season, arrange the play in schedule and playoff schedule. Notify coaches and TC of the events. Coordinators help organize the divisions for the following year moving forward. Coordinators attend League meetings and provide summary reports of the season. 6Th Grade Nick Lembo Jr.
Must determine if person was assigned a role last season or in a season longer than a year ago or is a new person to the application. Then the data is already in the system and only need to change what data has changed, which typically would be only the team involved assigned this current season. First step is for coordinator to log into mvbasketball.com. Select the teams name and select the correct team (team name if multiple teams for town and the appropriate grade). If any contact information needs to be modified select the Contact tab and correct any data. Select submit to save the changes. Check the teams page afterwards to ensure that the coach last season is recorded as not assigned to the same team as last year, just selecting not assigned and then save will accomplish that goal. If the Coach/Assistant Coach/Manager is new to mvbasketball.com then full data will need to be entered. Only Grade Coordinators can enter games and modify/reschedule games for any reason (gym canceled, location change, etc.). Coach/Assistant Coach/Manager can add practices and non-league games. Non-league games do not appear in any of the MVbasketball.com standings. However, Non-Divisional games do (Note-only the Grade coordinators can enter Non-Divisional games that appear in the standings). First step is to log into mvbasketball.com. Please submit to Grade Coordinators or Ken Miano, your Coaches grade, name, email and cell number. Due Date for Travel Fees and Insurance Certificates is November 10, 2018. Travel League Fees are to be mailed to Bob Adiconis 72 Gray Street, North Andover Ma. 01845. Check should be made payable to Merrimack Valley Youth Basketball. The fee for 2018-2019 season is $18.00 per player. Head Coaches must submit FINAL TEAM ROSTERS, 1 week prior to their first game. The Final rosters need to be emailed to the Grade Coordinators. Coaches, please follow the directions on the below link to login. You must login using your email and password. Note; the email must be the one used to establish your account. If you don't know your password you can set one up by leaving the password blank. The system will email you a link on how to set one up to your email account. Log into MVBASKETBALL.COM website using the email that was used to establish your account and your password. Navigate to your teams page (season, Grade/Division, Team Name). Find the game to enter the scores and click the item in the ACTIONS (located on the right of the screen). Record your name and email in the appropriate fields. Then record the scores of the teams and submit. Please update your contact information by logging into "Edit My Account" and editing your contact information directly. All you need is your email address and it will email you your password. If your email address has changed and you no longer have access to it you can create a new entry with your new email. Please contact your Grade Coordinator so that he is aware of your changes. 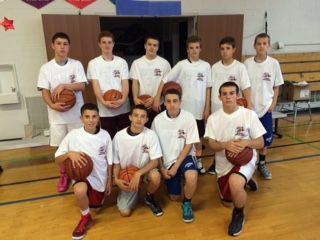 Merrimack Valley Youth Basketball is looking for local businesses to sponsor the league. All of the money goes towards running the league. If you are interested in getting your business advertised on our website please see in the "Become a Sponsor" page for details.